Electrical work is scary. 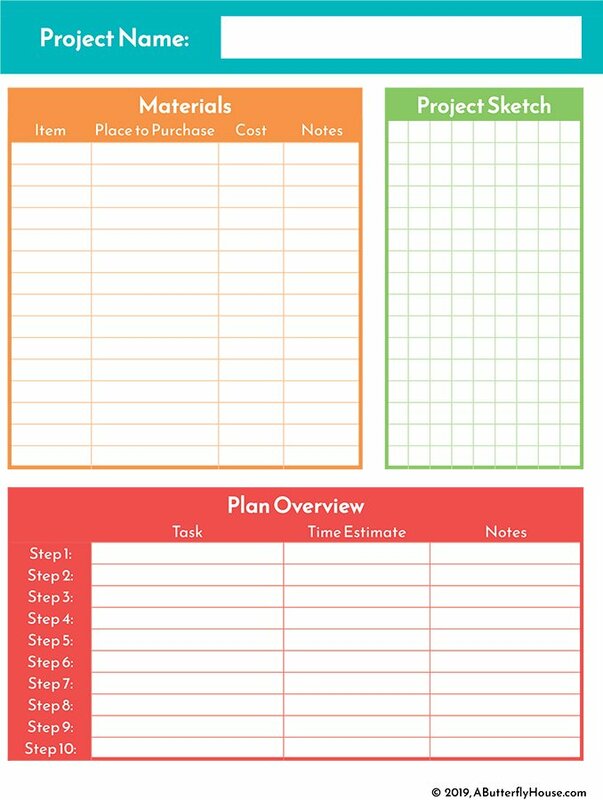 When things go wrong, or you want to add an outlet or a light or something, almost everyone you know says “hire a pro.” I’m not going to dispute that at all, actually. If/when you don’t know what you’re doing, it can be really dangerous. But there are some simple and common electrical situations that are really easy to deal with, and, to me at least, paying someone a couple hundred dollars to do these things for you is absurd. I plan to do a whole series of simple and common home electrical projects, but today, I just want to start with the simple facts about electrical panels that every homeowner should know. Note: My breaker box is located in my unfinished basement, so you can see all the wires leaving the box to feed power to my house. 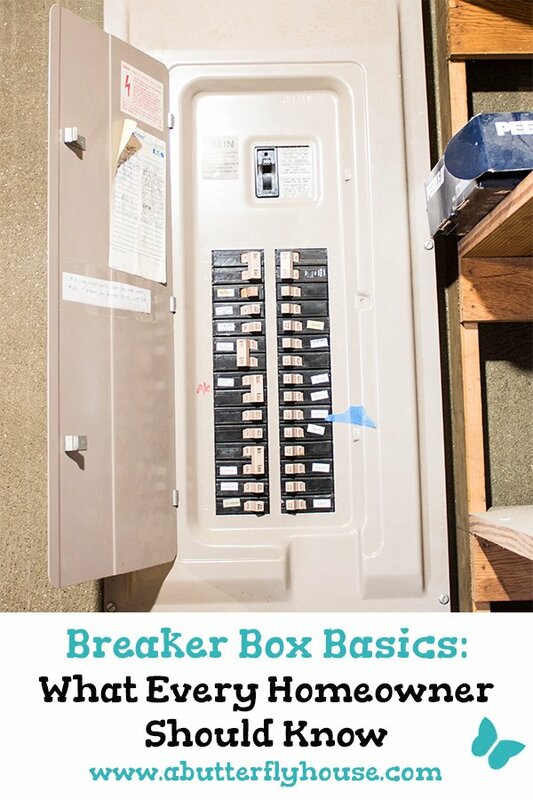 If your breaker box is located in a finished area, these might not be visible. On the inside, there are a bunch of switches. The large switch on top controls power to the entire house. In the case of some major electrical emergency, you can cut power to the entire house by flipping that big top switch. (Not so) Fun Sidenote: In Texas, it's common for breaker boxes to be on the outside of the house. Robbers know this, and frequently will find the breaker box and flip the big switch to cut power to the house (and therefore any security systems and cameras) before approaching. 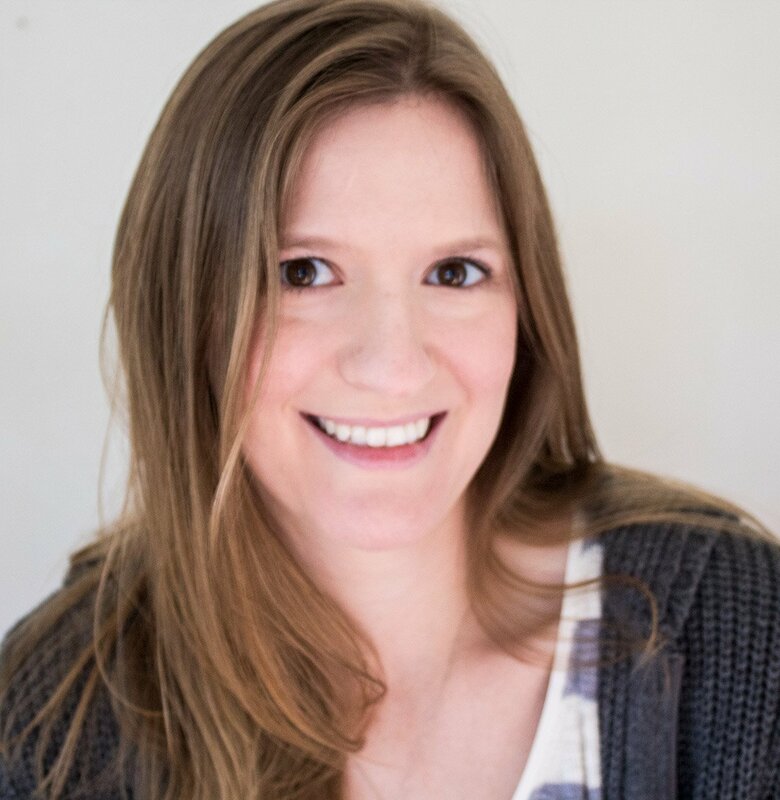 While monitored security systems will call the homeowner when this happens (which will eventually lead to a 911 call), un-monitored systems are off for good. This happened to my parents just a couple weeks ago. Each small switch controls power to some subset of your home. For example, there might be a switch labeled "Living Room." That switch probably controls all the lights and outlets in the living room, although you might want to do some testing to make sure. I'll be doing another post on how to test switches to see what they control, so stay tuned! The power supplied by each separate switch is generally called a "circuit." I'm sure this is not the most official definition of a circuit, but it was the best I could come up with. You might have heard someone say something like "all the outlets and lights in the living room are on the same circuit," which for the purposes of the typical homeowner basically means the power is supplied by the same switch. Where is My Circuit Breaker Panel? 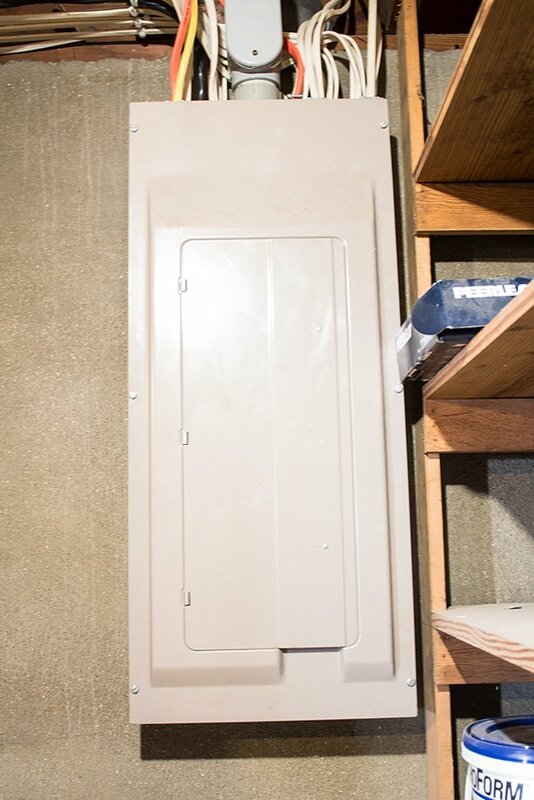 The location of the breaker box differs in every home. Mine is in my basement, but sometimes they can be in laundry rooms, hallways, and even outside! Look around, I promise you have a box somewhere! Note that in my pictures above, you can see wires. 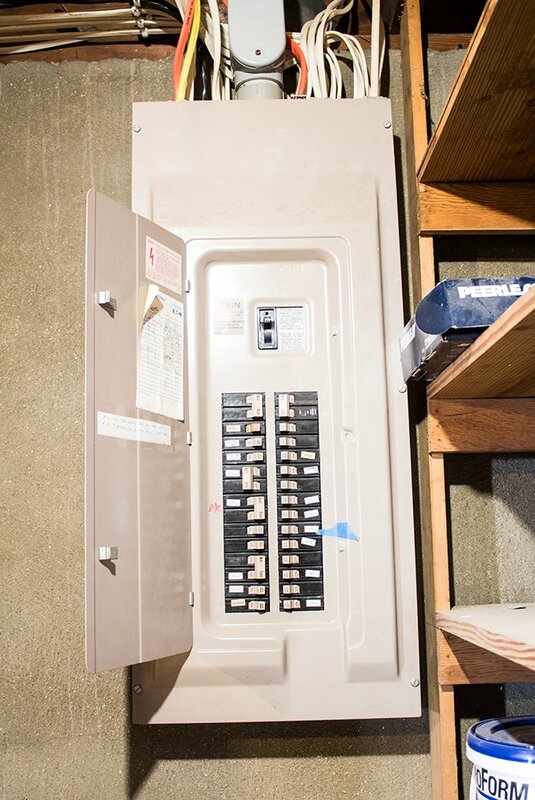 If your circuit breaker panel is in a finished area, it's likely the wires will be hidden by walls, and the box will be embedded in the wall itself. For example, in my old condo, the breaker box was located in the laundry area. The box was embedded in the wall, and all that was visible when it was closed was the grey front panel. One extra note I should add: if your house is old and the wiring hasn't been updated, you may have a fuse box instead of a circuit breaker panel. I won't pretend to know anything about fuses, but if you open the box and don't see switches, you probably are working with fuses. How Do I Use My Circuit Breaker Panel? Resetting a breaker- If you draw more power than your circuit allows, the breaker will automatically shut itself off. You'll need to switch it back on. I'll talk more about this later. Installing a new light fixture or ceiling fan- Anytime you're working with power, you'll want to make sure you've turned the circuit off for safety reasons. Turning off certain circuits to save money when on vacation- Last summer I went on vacation for two weeks. Despite the fact I was gone, I paid $15 to power my house in that time. No idea what used the bulk of that power, but I promised myself I'd shut off any unnecessary circuits before I leave this year. If you're feeling nervous right not, because electricity and all, know that at this point nothing easily accessible can hurt you. While there are some very dangerous wires inside the box, you'd have to take off the entire top panel (by unscrewing all the visible screws) to access those. All the switches you see are intended to be used by a novice homeowner. How Much Power Can a Circuit Handle? The amount of power that can be handled on a single circuit varies depending on the circuit. 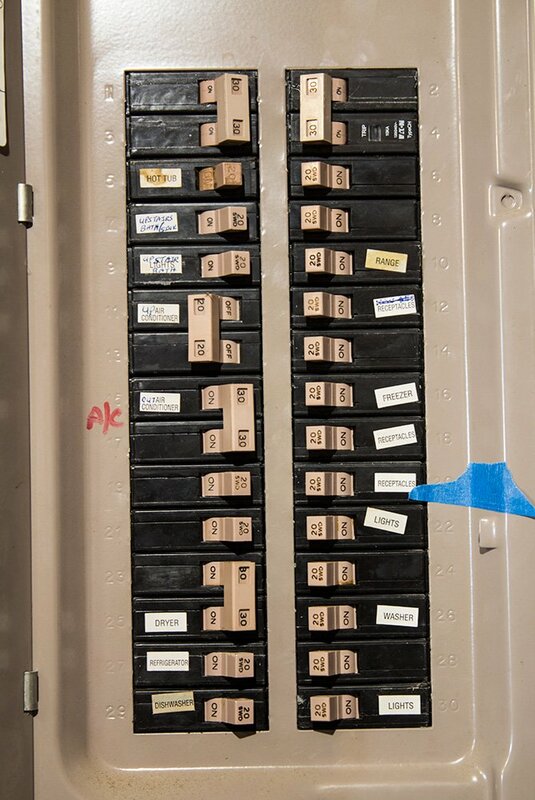 Luckily, the each switch is labeled with the amount of power that circuit can handle. We measure electrical current using amps. 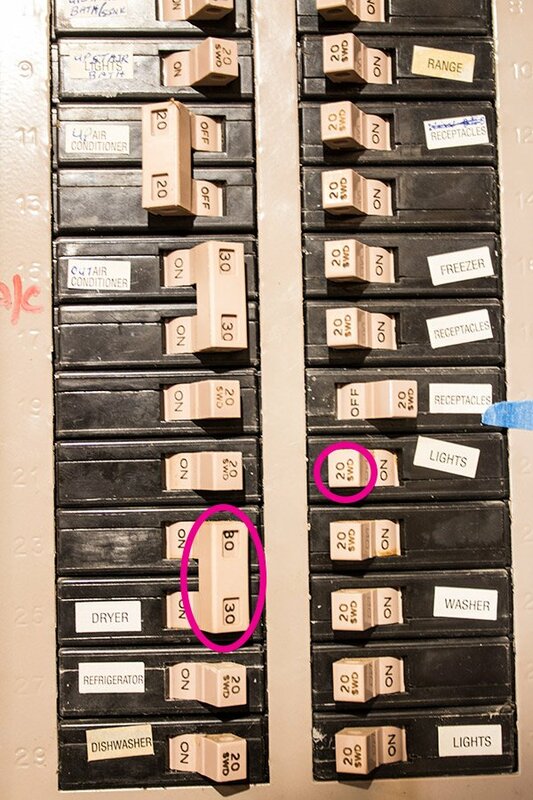 In the above picture, most of the circuits are 20 amp circuits, including the "lights" circuit I circled in pink. This is pretty standard for residential homes in the US; most are either 15 or 20 amp circuits. Circuits requiring larger amperage are typically for major home appliances that draw large amounts of power. Above, you'll see my dryer is on a 30 amp circuit, and takes up two spaces in the panel. Other appliances that draw large amperage and take extra space are typically electrical ovens/ranges, air conditioners, and hot water heaters. If you do end up overdrawing power from a circuit, it's not a huge deal. We call this "tripping" a circuit breaker, and in essence, the circuit turns itself off. It's easily fixed by unplugging your appliances, walking to the circuit breaker, and flipping the switch back on. I'll be writing a more detailed post on this soon, so stay tuned! This post had a lot of information in it, especially if you've absolutely never thought about the electricity in your house before. What, where, and how to use a circuit breaker panel are essential things to know if you don't want to pay $200 to an electrician the next time you try to run a space heater and a hair dryer at the same time. But since that day is (hopefully!) not today, there's one thing I want you to do. If you have no idea where your breaker box is, I challenge you to get up and search your home until you find it. You never know when you're going to need to use it. And finally, if you learned something reading this post, go ahead and save the image below to Pinterest. That way, not only will you know exactly how to find this post next time you're considering an electrical project, but your friends can benefit from this information too!